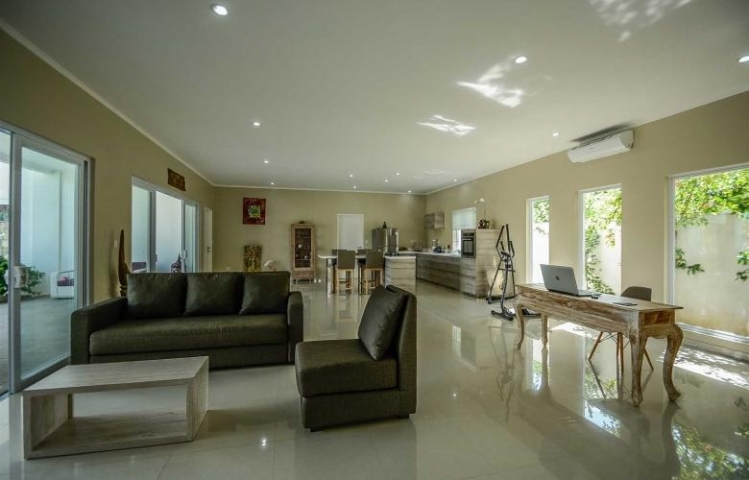 Situated in a very calm area in Canggu, just 3 minutes away from the beach. 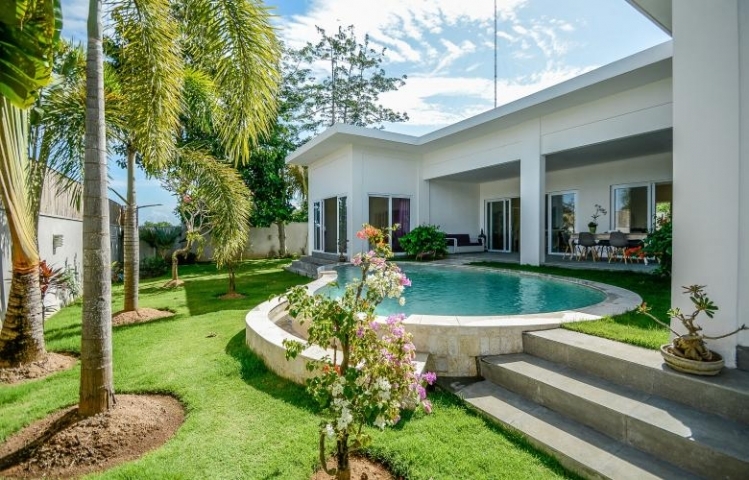 Canggu is becoming one of the most desired corners in Bali after Seminyak. 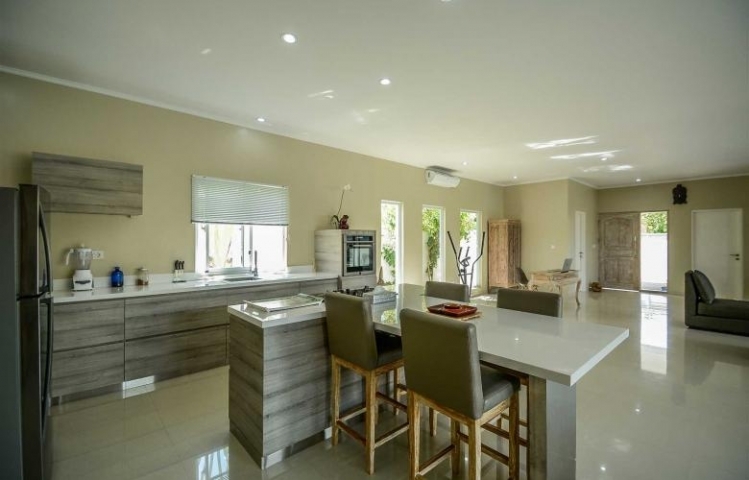 The gorgeous house is located in Berawa street where plenty of restaurants and bars are lining up. The villa is a two storey house. The first floor consists of kitchen, spacious living and dining area where you can find as well the guest toilet next to the staff room. 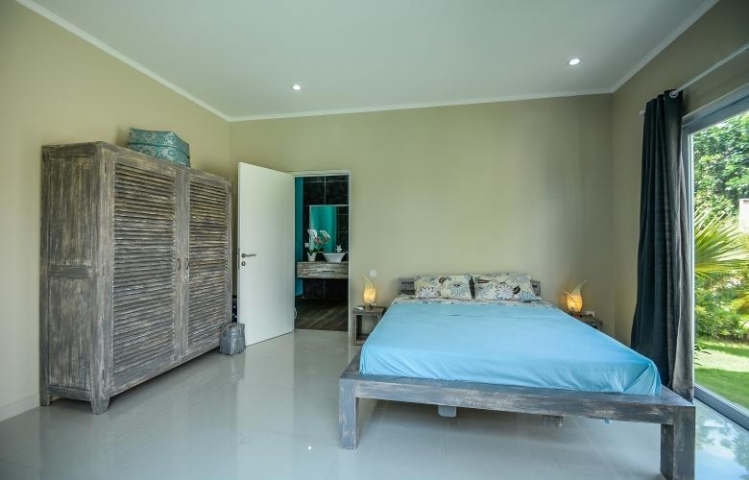 The master bedroom is a large room with sublime wooden floor, while another bedroom is located on another side of the first floor, both are equipped with en suite bathrooms. And not far from entrance you will find a separated bedroom with the mezzanine and its private bathroom. The second floor consists of two bedrooms with small balcony featured. Both bedrooms are sharing the spacious bathroom. At the corner of the garden, a small room, equipped with the toilet and having a charming view of rice paddy, perfect for an office or a room for the staffs. 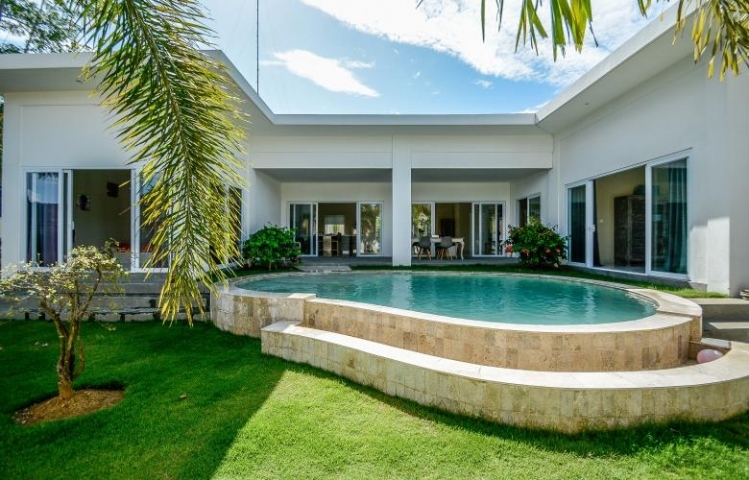 Good villa for your next investment in Bali. 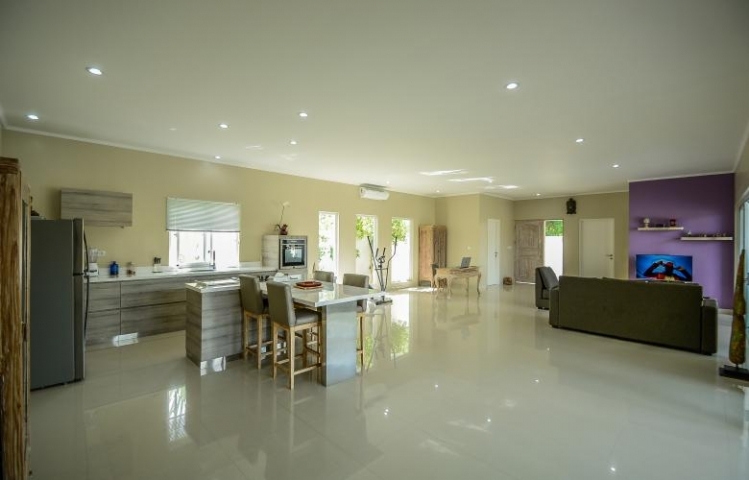 Price Leasehold in € 450.000.